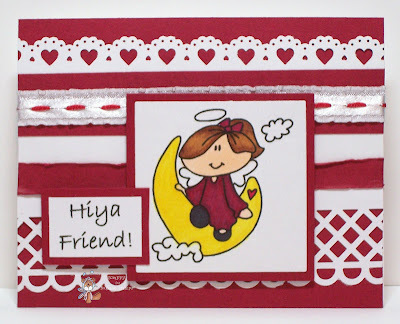 This is another pretty card with a cute image, the red and white looks fab together. What a cute little angel. Love how you have used different ribbons as embellishments. Sweet card!